Earn 7995 loyalty points when you order this item. 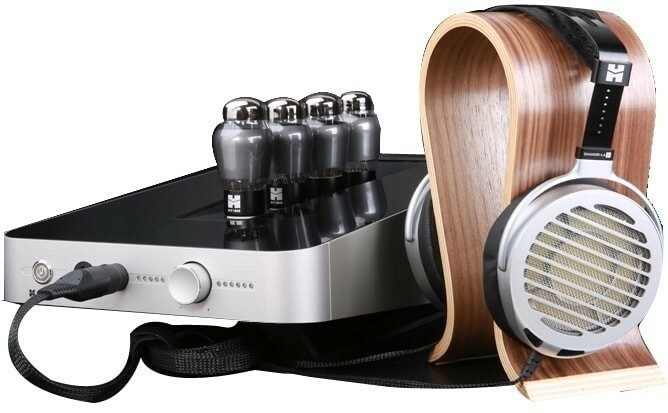 HiFi Man Shangri La Jr Electrostatic Headphones Full System combines the matching Shangri La Jr Electrostatic headphones and headphone amplifier. Shangri La Jr Electrostatic Headphones deliver an unprecedented performance to value ratio from a nano-tech driver less than 0.001mm. It couples near zero distortion with a lightning-fast response and the Nano-particle coated diaphragm provides an extremely high-frequency response. 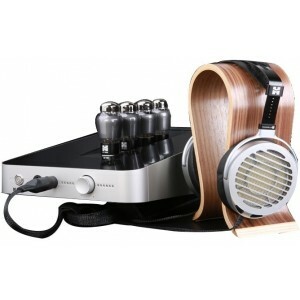 The amplifier is made using the finest hand matched 6SN7N Vacuum Tubes available. Tubes at the core of the Shangri-La Jr amplifier function so close to the output offering a warm and sumptuous sonic quality the finest Tube amplifiers are known for. For more info on the amplifier, please visit our main Shangri La Jr Headphone Amp page. For more info on the headphones, please visit our main Shangri La Jr Headphones page.